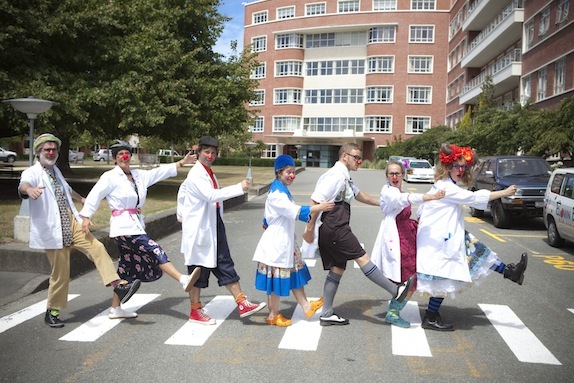 The Clown Doctors New Zealand Charitable Trust is an organisation which combines creativity with social responsibility. Our mission is to bring JOY & LAUGHTER to children in hospitals, and lift the spirits of people in need as we contribute to a more heartfelt and humorous society. International research has proven the positive effects humour and laughter have on health and the immune system, and our Clown Doctors proudly don the world’s smallest mask – the Red Nose – in the name of bringing happiness and health. Our presence aims to reduce the stress, anxiety, and pain of patients, families, and hospital staff through providing an emotional boost. 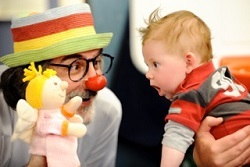 Leaving a bequest to the Clown Doctors New Zealand Charitable Trust in your will (made in your name or the name of a family member or loved one) is the most committed and lasting way of ensuring a legacy for happiness for future generations to come. It is a powerful way to make a change to the healthcare system in New Zealand and to have a positive effect on the children of the future. This way you can ensure that the sounds of laughter will be heard in the hospitals of New Zealand for many years to come. There are a number of ways you can include a gift for the Clown Doctors in your will, and we would welcome the chance to talk to you about them. However, we suggest that you discuss all of these options with your family, financial and/or legal advisors first. Original generation time 1.9512 seconds. Cache Loaded in: 0.0395 seconds.